Prior to large quantities of data and information being saved online, the only place to find information was by opening the doors of a library and searching for the right collection. When nothing could be found, you turned to inter-loan options and looked at partnered libraries for needs and then waited for the books. This process could take a while and wasn’t always successful. Technology advancements have changed this process and how knowledge is immediately available, especially in higher education where valuable content, information, and data can be found electronically. With the right access, resources can be found without even leaving the comfort of a home. This changing learning landscape created a delicate dilemma for libraries and higher education, who found they needed to look at information in new ways. One option that has increased in popularity is Open Educational Resources (OER) where students and educators can search, browse, and evaluate the open educational resources and curriculum of over 1.2 billion of open materials from a single point of access with educators from around the world. This public digital library is filled with learning and teaching materials that can be freely used and re-used at no cost and without needing to ask permission. Unlike copyrighted resources, OER content has been created or authored by an organization or individual that chooses to retain few, or if any, ownership rights. The benefit of OER course design for students and faculty is that a resource to support curriculum and instructions can be downloaded and shared with others. If allowed, edits can be made and then re-posted as a remixed work. This shift in learning resources is not just about easy access and costs savings but providing opportunities for educators to be involved with new participatory methods and effective technologies for engaging students in the learning process. 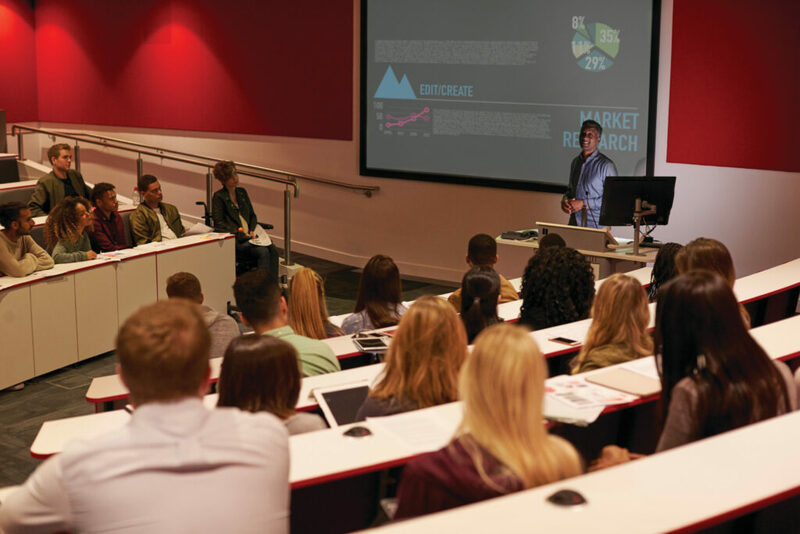 For instance, Passaic County Community College (PCCC) in Paterson, New Jersey has collaborated amongst its staff to create 48 OER courses, including 15 Honors courses. PCCC now also provides a zero-cost degree in liberal arts, as well as offers an Honors program comprised entirely of open content. PCCC was able to create the program in less than two years with the help of a Title V Gateway Initiative grant and are looking for new ways to incorporate OER throughout its programs. PCCC offered its first classes with OER during the Fall 2017 semester and immediately began witnessing positive results. In a survey taken after the semester, students said they found OER resources to be more convenient, interactive and easier to read than textbooks. Students also appreciated the lower textbook cost, which are quite often a major expense. Faculty also compared OER classes to those where it wasn’t used, and the classes with OER came away with a slightly higher pass rate and G.P.A. All of these positives aid the learning process and help the student stay more engaged and more prepared for the future. Alexandra Della Fera, an English Professor at PCCC, initially thought using OER wouldn’t work for her course but decided she should at least see how it worked. Della Fera found that students appreciated having all of the materials on day one. There was no delay in instruction and materials could be customized for the course and for what was needed. An instructor is able to eliminate unused expensive text from the course materials, as well as find value from other material and resources in OER from other educators. Another way PCCC utilized their resources was by taking all of the journals, database articles, and E-books the college was already paying for and putting them by category in a place easily accessible for students to use for free. PCCC’s Librarian Elaine Goldman, MLS, also created a LibGuide for how to use the OER and how to find the various resources in the different disciplines. These new free resources breathed hope into the continuously shrinking library budget. The move to open education practice (OEP) is more than a shift in how content is used and attained, it is a collaboration of teaching and learning in an immersive experience. This process uses OER to expand the role of educators, allowing teachers to become curators, content creators, and curriculum designers. In sharing teaching strategies and tools, educators network their strengths and improve the quality of education for their students. This evolution in content and learning is why PCCC and other places of higher education are finding value in OER and using this exciting opportunity to be at the forefront of a new educational era.